Thank you Intuit for sponsoring this article. Imagine if you had an opportunity to ask 2,000 small businesses around the world about their usage and attitudes towards business web-based and mobile apps. What would they say? How tech savvy do you think small business owners really are? Wearing many hats, small business owners have to rely on the latest technologies to help run and manage their company. They are often more tech savvy than we give them credit for just for this reason. The impact technology can have to solve business problems and streamline operations is life-changing for these business owners. However, many small business owners are lagging behind using many innovations that have been created just for them. 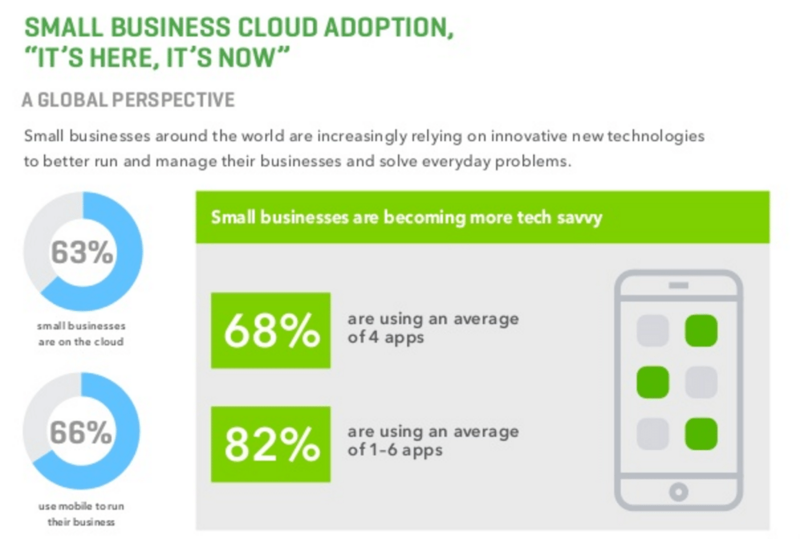 Intuit QuickBooks released their 2016 Appification of Small Business global study last month, revealing insights from small businesses on their use of web-based and mobile apps to run their businesses. If small business owners – or general consumers – are using apps in their daily lives, then why not use them to improve productivity for their businesses? While these results are not surprising, the insight as to how small businesses are using apps and technology was very interesting. I was able to go over the survey results with Vinay Pai, Head of Intuit Developer Group. Below, I have highlighted a few survey questions and excerpts from my discussion with Pai. For the full survey results, click here. What is the Ideal Number of Apps for a Small Business? Small businesses are confused about which apps are best for them. This makes quality more important than quantity. 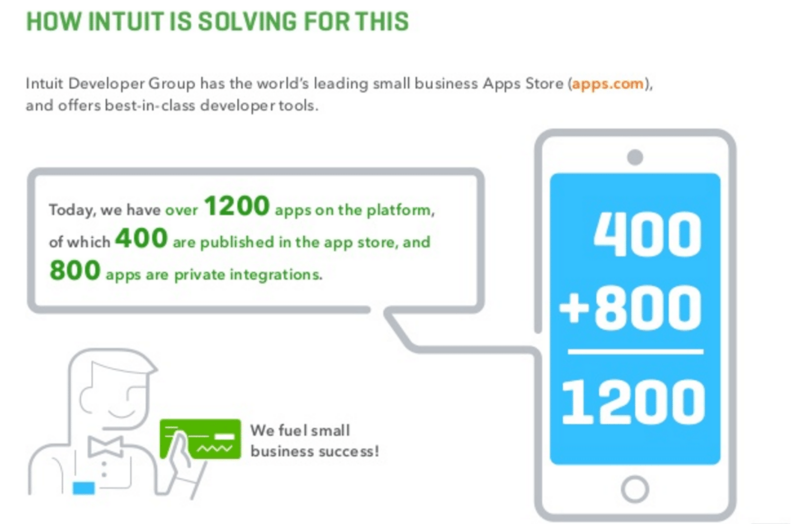 There are currently more than 400 apps available through the QuickBooks Apps store. Pai indicated that QuickBooks is focused on creating apps of the highest quality. His advice is for small businesses to find 3-4 apps that would be a major benefit to them, rather than expanding the number of apps they use. As the business owner becomes savvy, he or she can use more apps but starting small is key. How Does Intuit Figure out What Apps are Best to Feature in its Store? Quality – Does the app deliver on its promise? User Experience – Is the app easy to use, and does it integrate with other apps? Growth – Will the app help the business owner and the developer grow his or her company? Recommendations from Professionals – If an app has a trophy “image” in the marketplace, it means the app is highly recommended by QuickBooks’ network of ProAdvisors. A ProAdvisor is an accounting professional, such as a CPA or bookkeeper, who has passed a rigorous examination on using QuickBooks. There are over 20,000 ProAdvisors as part of the Intuit QuickBooks network. User Feedback – Each app in the marketplace shows user reviews, ranging from 0 to 5 stars. The number of five star reviews is a very important indicator of quality. In addition to user ratings, the number of people who have downloaded the app and how frequently the app is used are very important indicators of the usefulness of the app. What are Small Businesses Using Apps to Do? Survey Question: What type of mobile and web-based applications do you use to help run or manage your business? “Over 18,000 financial institutions, including banks and credit card providers, integrate with QuickBooks,” according to Pai. 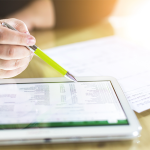 With these institutions, QuickBooks users can download statements from their bank or credit card account into their QuickBooks online account and see financial transactions. For example, if you, a business owner, went into a Home Depot and charged $550 worth of purchases, that would download in QuickBooks as long as the financial institution where the credit card or bank account is held integrates with QuickBooks. QuickBooks is actively working with partners to enable an even deeper level of integration. In addition to seeing the total purchase amount and vendor (e.g. Home Depot, $550), QuickBooks wants users to be able to access information on the individual items of the purchase. 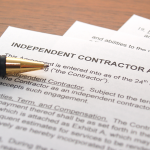 Pai provided the example of a house painting contractor who might be buying paint for a specific job, as well as general supplies like ladders. A deeper level of integration would allow the painter to allocate the paint cost to a particular job, while keeping the ladder as a general expense. This level of integration is now available via an app for American Express Open credit card holders. How Important is Web-App Security? Survey Question: What are the top considerations you look for when you choose a mobile or web-based application? 55% of US Respondents Listed Security. This was only second to ease of use at 62%. Survey Question: Considering the factors that make you trust a small business technology or applications vendor more or less – rank in order of most to least important to your consideration where 1 is most important. 41% of US Respondents Ranked Privacy / Security Certifications As Most Important Trust Factor For A Web-Based Or Mobile App. Surprisingly, the Second Most Important Factor Was Cost At 29%. Small business owners may be reverting to price as a measure of quality because of lack of information on the quality of web-apps. This past May, Intuit launched the Small Business App Showdown, a $100K contest for apps that were published on the QuickBooks App Store between January 2, 2016 – August 15, 2016. Last month, the Top 10 Finalists were announced, which included developers from US, Canada, the UK, Australia and New Zealand. 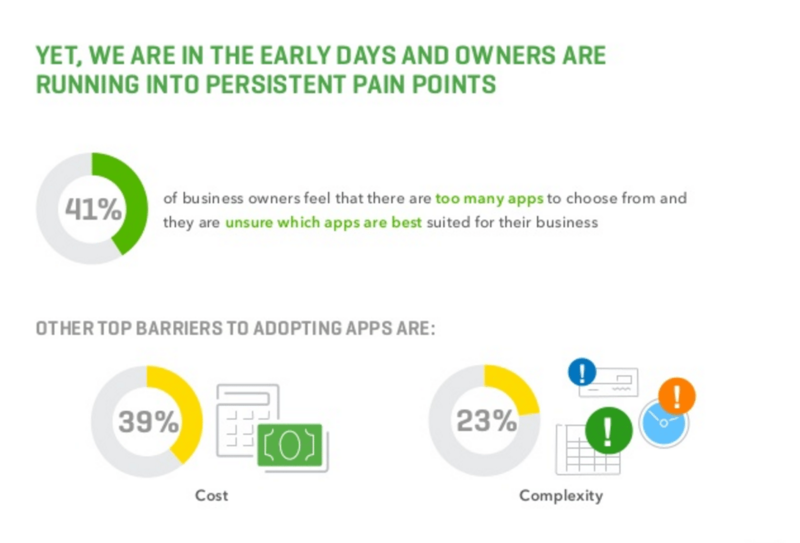 The apps address a range of small business needs that demonstrates the wide range of the QuickBooks app ecosystem. The winner will be unveiled on October 24, 2016 at QuickBooks Connect 2016 in San Jose. You can learn more about the top ten finalists here. QuickBooks simplifies accounting and bookkeeping for millions of small businesses. To get app-related and other news from Intuit QuickBooks, follow them on Twitter or Facebook. 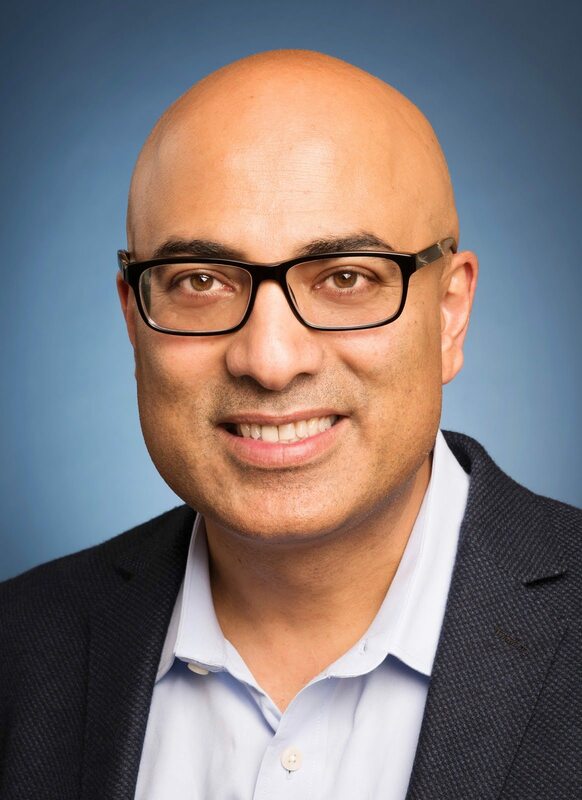 Vinay Pai is an experienced technology executive with a track record of leading global high-performing organizations, driving technology transformation at scale, and driving business growth globally. As the Head of the Intuit Developer Platform, Vinay leads the platform strategy and business segment chartered to grow the Intuit ecosystem through a vibrant community of third-party applications and developers. Over the past seven years at Intuit, Pai has held a variety of leadership roles in the Small Business team and has worked across the company on a variety of strategic initiatives. As the Vice President of Engineering for Intuit Small Business, he helped scale Intuit’s SaaS portfolio globally for small businesses and accountants—which includes QuickBooks, QB Accountant, Payroll, and Payments. In his previous roles at Intuit, Pai was the VP of Engineering for QuickBooks, where he led the development of the QuickBooks product line across web, desktop, and mobile clients. Pai also led the Engineering teams for Intuit Online Payroll and QuickBooks Online, where he introduced high availability, disaster recovery and launched a global offering. Pai joined Intuit in 2009 as part of the PayCycle acquisition, where he led the Engineering team that delivered high availability and SaaS scale. Prior to that, Pai held roles in startups & enterprise companies, including VP of Engineering at a cloud startup and management roles at Sun Microsystems and Schlumberger. As part of the leadership team in the Java group at Sun Microsystems, Pai helped create J2EE 1.3, J2EE 1.4, and the Java Web Services Developer Pack. Early in his career, he also founded a three-person startup on the Apple platform that delivered three products.